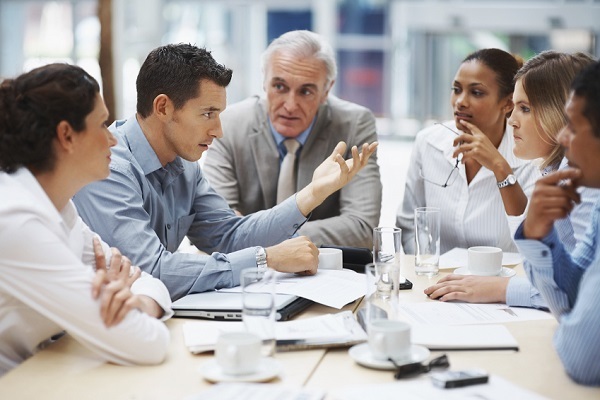 Sales review meetings are key activity among sales teams. In these meetings, it is a great opportunity for sales managers to guide sales reps to find their area of weakness and show them opportunities to improve. Instead, the majority of sales review meetings leave a bad memory for sales executives. That is because sales managers use these meetings to evaluate sales rep performance and the sales rep who had a bad month or bad quarter is sales will be at the receiving end! In sales, since there can always some quarters which are bad, every sales rep knows that in review meeting he will be taken to task! Do not start pointing mistakes of sales executives. Ask sales executives to make their presentations. Guide sales reps to understand what caused the situation of low performance. Ask them what they think needs change? Is it their behavior, their skills, effort or something else? Show them from their own data on how to understand the way business is running. Keep the discussion only on the parameters that are going to create high impact and high importance that made them be in the situation where they are in. Instead of review meetings, name the meetings as support interactions. Make the reps realize what are they good at it, what they are weak at, what are the opportunities and what they should start doing differently to come out of the situation. Ask them to present their big picture, what they are doing is going to help them in next one year. Appreciate the performers and ask them to share their insights on how they make it successful. Why make this support interaction so important? Because managers should be able to help the executives reflect on their own performance. By allowing them to present their own scorecard, sales executives get clarity on where to improve and this will help them build a better roadmap for the next month. For salespeople along with performance goals, the key element of is of learning goals. Always ask team members to define 2-3 areas they will keep learning goals over the next 3~6 months and what support required. It can be pricing negotiation, handling objections, taking appointments, product demo. Anything it can be. Keeping the learning goal makes overall sales as interesting. Finally, keep the enjoyment of sales always alive. As sales leaders, it is good to use more of their heart than head, then painful meetings will turn to insightful meetings.